In my previous blog on this topic I discussed the importance of Bowel Health. In this blog I will present some examples of how we can maintain a healthy bowel. The first way is through a proper diet. 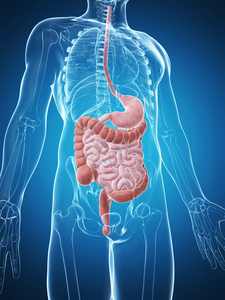 The inner lining of the bowel is directly exposed to everything we eat. The best diet for a healthy bowel and for our general health is the Mediterranean diet or the Japanese diet. They are actually very similar. These diets are rich in vegetables, fruits, and lean protein sources such as fish and poultry. Avoid processed foods. Processed foods, especially the ones rich in animal fats, contain substances which when digested are converted to carcinogenic compounds (i.e. compounds that cause colon cancer). This is why trans fats in beef and pork may predispose us to colon cancer in the long run. Processed foods also often contain preservatives and artificial coloring agents. All these compounds are toxic to our cells and can also act as carcinogens. Another very important point is to keep your natural population of good bacteria at a high level. This keeps the bad bacteria in check, and this in turn keeps the exposure of bowel cells to toxic and carcinogenic compounds to a minimum. The best way to do this is to drink kefir or sour milk. These two products are filled with probiotics (i.e. the good bacteria). For those of you who are lactose intolerant or if you simply do not want to drink kefir all the time you can easily supplement with probiotic products….Read more…. Categories: Digestive Health | Tags: Hemorrhoids, prebiotics, probiotic, raw foods | Permalink.